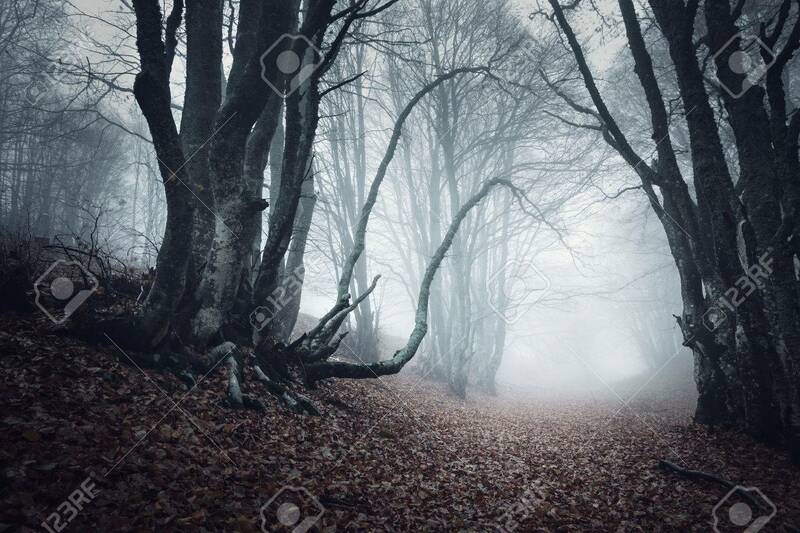 Trail Through A Mysterious Dark Old Forest In Fog. Autumn Morning.. Stock Photo, Picture And Royalty Free Image. Image 41927373.